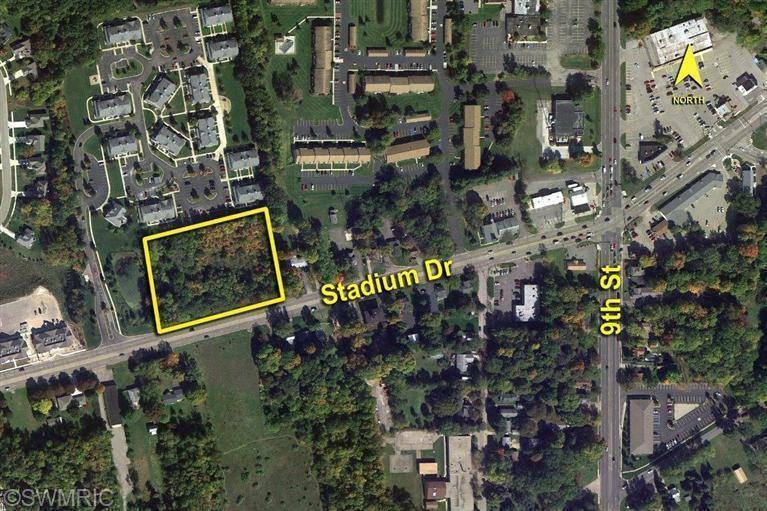 Development lot with high traffic count on Stadium Drive just west of 9th Street intersection. 458 feet of frontage on rectangle shaped lot. Great site for retail, office & multifamily. Listing provided courtesy of Jeff Chrystal of Signature Associates Kalamazoo. © 2019 MichRIC, LLC. All rights reserved. Information deemed reliable but not guaranteed.